- American-born Nigerian music star Davido on Friday released the video for his new single ‘Fall’. The fascinating visuals for the new hit, which sounds almost like ‘If’ but with a little more juice, was directed by Daps. The new music video appears to be one of the most trending on YouTube as it hits over 250,000 views with more than 11,000 likes in less than 24 hours. Just a few hours ago he released his second single of the year – “Fall”and as usual he wastes no time in putting out the official video to accompany the single release and further popularise the tune. In the Daps-directed visuals Davido can be seen posted up in a chauffeur-driven Rolls Royce donning a designer shirt, ensuing in argument with his onscreen lover before pulling over and falling in a trance. 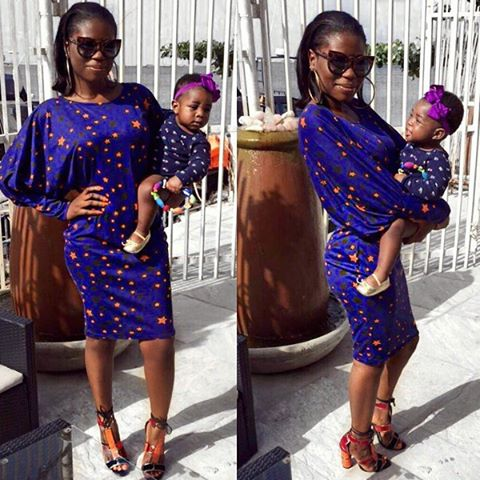 Nollywood Actress Funke Akindele popularly known and called by her Stage Name “Jennifer” the host of the Episode comedy show “Jennifer Diary” Funke Akindele Stormed Unilorin in a show organised by the Unilorin SUG The event tagged “Redefined Dinner & Awards Nite 2016” which held at the UNILORIN Multipurpose Hall.. The event Kicked off late at 11PM which lasted for 3hrs where she performed live in Mph of the school. She was highly welcomed by both the provost and the students of the Better by Far Institution, Where Some Students Organized to Performed Jennifer Diary Clip to Show their Love..
Davido ’s daughter Imade Adeleke is a year old today, May 14th. It’s been a long year for the toddler. Her parents engaged in a very public spat and she was hospitalized after getting infected with Marijuana from her mother let to talk of her being a topic of debate at the International Airport. “She was born to be the ‘un-anxious’ presence in the room.. It was love at 1st sight. It was everything all at once..the kind of love you never fall back from. Never try to. Never want to. A love so big, so strong, it never dies. Never fades, never loses its electricity. The kind of love you fight for. The kind of girl you go to war for. The kind of love you never want to get away… We are not perfect but we made something incredibly perfect for what is done in love is done well. I’m grateful & humbled that God trusted me with you, I will never take it for granted. 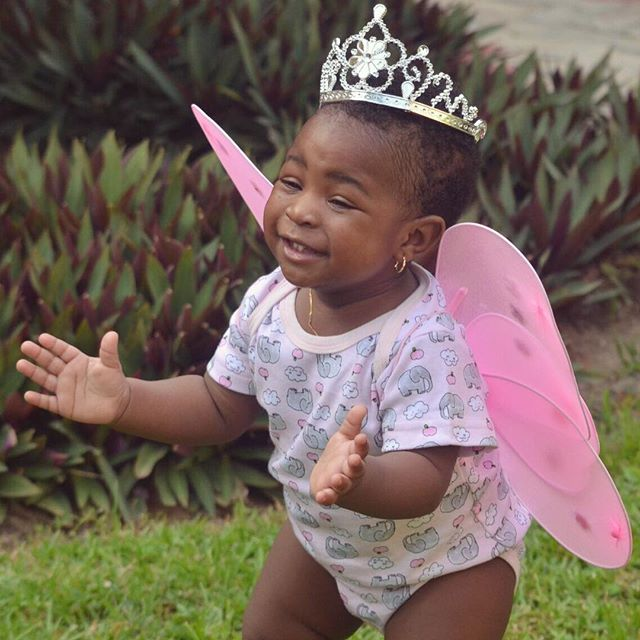 To celebrate her birthday, her mother Sophie Momodu posted the photo below alongside a message. She wrote. Brim Home is at it again. 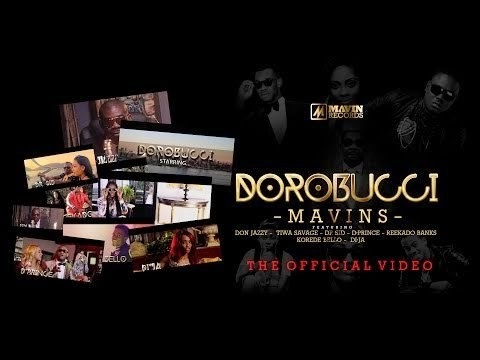 The mavins record has finally released its official video for the Dorobucci video, the video which featured all stars of the MAVINS RECORD Don jazzy Tiwa savage and lot more. The video was directed by Nick Roux , all the official records of this video was done all the way in south Africa. After the five months old face off between the Federal Government and the Academic Staff Union of Universities (ASUU) which was recently resolved through the intervention of the Nigeria Labour Congress (NLC) by making the Federal Government and Academic Staff Union of Universities (ASUU) to sign a Memorandum of Understanding (MoU) Dr Emrys decided that all that happen shouldn't be left to just get blown up in the wind. 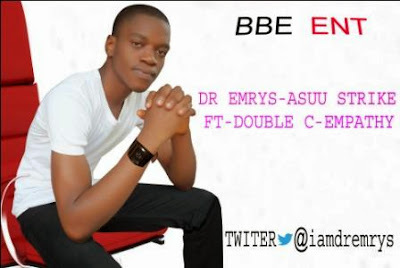 Dr. Emrys released A NEW SONG TITLED ASUU STRIKE FT Double C - Empathy, the song was produced by Perry the CEO of BIG BOY ENT (BBE). And to be frank when i had of the music i was marveled by the song tittle ASUU STIRKE. Every body needs to listen to this music that will keep you laughing all from the very start till the end. Medical Editor, Mental Health: Lloyd I. Sederer, M.D. Public Health Editor: Susan J. Blumenthal, M.D., M.P.A. Medical Review Board: Dave A. Chokshi, M.D. ; Margaret I. Cuomo, M.D. Mark Hyman, M.D. ; David Katz, M.D. ; Sandeep Kishore, Ph.D.; Prabhjot Singh, M.D., Ph.D.
Calabar Carnival in Nigeria, furthermore tagged " Africa's Biggest Street Party", was created as part of the dream of making the Cross River State in Nigeria, the number one tourist place visited for Nigerians and tourist all over the world. The carnival which start on every 1 December and last till 31 December has boosted the heritage mosaic of Nigeria persons while amusing the millions of spectators inside and outside the State, and increasing industry for all stakeholders. The Calabar Carnival has arrive a long way..it all begun 2004, when the governor of Cross River ,Mr Donald Duke, had a vision of making his state the hub for tourism and hospitality in Nigeria and in Africa. The Carnival presents a perfect stage from emblem visibility for buyer and market awareness. "According to Osima-Dokubo, the carnival directed to encompass more facets of localized heritage and culture and at the same time strengthen the capability of the local people to take part in an economically beneficial way", . lately,Cross River State and Calabar has become the pride of Nigeria or Africa as far as tourism, carnivals and hospitality is concerned. The events of the event at the carnival are made a draft each year by the committee in charge of tourism and cultural undertakings and new initiatives are presented every year. In December 2009, Carnival Committee organized "Carnival Cup 2009", a football competition amidst the five competing carnival musicians - Seagull, Passion 4, Masta Blasta, Bayside and Freedom. 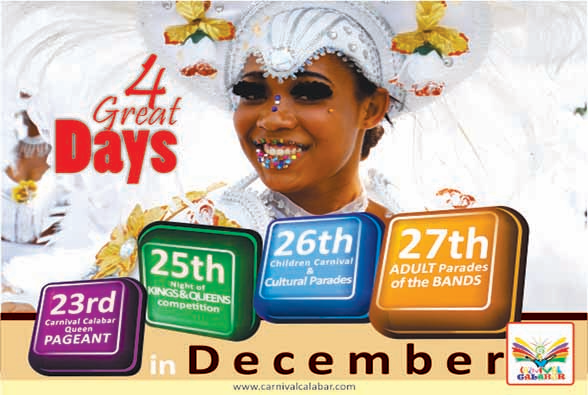 The carnival which also encompass melodies presentation from both localized and worldwide creative persons, the annual Calabar Carnival, Boat regatta, latest trend shows, Christmas town, traditional promenades and the annual Ekpe carnival is a yearly events that bring in thousands of visitors at the time of the year. Other undertakings lined up for the year according to their work design, encompass the second version of Essay composing affray which will engage both lesser school and tertiary students, and this will commence in couple of weeks. These affrays are aimed at resuscitating the reading heritage amidst the youths of the State as well as inculcating the carnival culture. The happening has hosted top Nigerian musicians, Nollywood Actors, Politicians and worldwide creative persons. Over the last 4 years worldwide creative persons like, the late Lucky Dube, Akon, Fat Joe, juvenile Jeezy, Nelly, Kirk Franklin, and many more has thrilled the large gathering of Nigerians and tourist from outside the homeland. Due to large crowd and fans that Nigerians creative person carries, 2013 Calabar Carnival would aim on Nigerian creative person. 2013 version of the Carnival Calabar Festival which is themed "Aint no stopping Us" which was revealed by the Governor of the State Sen. Liyel Imoke of Cross River State says it will strike an all time high grade during the 2013 Calabar Carnival. Please don't overlook out of this opportnity. Cross River State administrator, Senator Liyel Imoke, has restated that even though the annual Calabar carnival has been growing larger every year, the 2013 edition will strike an all time high grade. a Nigerian artist rather than a foreign celebrity, would headline this year’s event. This conclusion was taken following the observation by the Festival designing Committee that Nigerian headliners consistently drag bigger crowds than their international equivalent. This is a huge success and growth to the State. With Tinapa as the backdrop, and supported by Nollywood stars and major business sponsors, Governor Imoke made this declaration in a in world press seminar in where he invited Nigeria and the rest of the world to Africa’s large-scale road Party. Governor Imoke declared that the beauty of Nigeria is wholly conveyed in the Calabar carnival and the exclusive emblem should be jealously defended and promoted by all. He therefore utilised the event to call on the Government and private part to invest more in the creative commerce, as it retains a lot for the country as considers income earnings. Pope Francis is set to make his first Christmas speech as pontiff in front of thousands of pilgrims in St Peter’s Square in the Vatican, BBC reports. 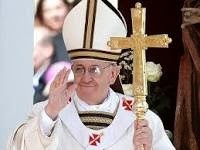 The Argentine pope is expected to tackle themes such as global poverty, which he has focused on since taking over from Benedict in March this year. Last year Benedict used his Christmas address to call for peace in Syria. Christians around the world are celebrating Christmas, which marks the birth of Jesus Christ in Bethlehem. On Tuesday evening thousands gathered in Bethlehem’s Manger Square for Christmas Eve celebrations. The nearby Church of the Nativity sits on the spot where Jesus is said to have been born. BBC says it was the biggest crowd to attend the event in years. Pope Francis celebrated his first Christmas Eve Mass since becoming pontiff at St Peter’s Basilica. In a short homily, Francis said that every Christian can choose between darkness and light, between love and hate. How did the caringly Christian saint, good Bishop Nicholas, become a roly-poly red-suited American symbol for merry vacation festivity and financial activity? annals notifies the tale. The first Europeans to arrive in the New World conveyed St. Nicholas. Vikings dedicated their cathedral to him in Greenland. On his first voyage, Columbus entitled a Haitian dock for St. Nicholas on December 6, 1492. In Florida, Spaniards entitled an early settlement St. Nicholas Ferry, now renowned as Jacksonville. although, St. Nicholas had a tough time throughout the 16th century Protestant Reformation which took a dim outlook of saints. Even though both reformers and counter-reformers endeavoured to mark out St. Nicholas-related culture, they had very little long-term achievement except in England where the religious folk customs were lastingly changed. (It is ironic that fervent Puritan Christians began what turned into a tendency to a more secular Christmas observance.) 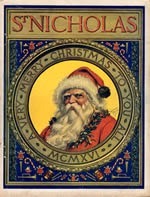 Because the widespread people so loved St. Nicholas, he survived on the European countries as people proceeded to place nuts, apples, and sweets in footwear left adjacent beds, on windowsills, or before the hearth.The first Colonists, primarily Puritans and other Protestant reformers, did not convey Nicholas customs to the New World. What about the Dutch? Although it is nearly unanimously accepted that the Dutch conveyed St. Nicholas to New Amsterdam, scholars find scant evidence of such customs in Dutch New Netherland. Colonial Germans in Pennsylvania kept the feast of St. Nicholas, and some later accounts have St. Nicholas visiting New York Dutch on New Years' Eve, thus taking up the English made-to-order (New Year gift-giving had become the English custom in 1558, supplanting Nicholas, and this English made-to-order lasted in New York until 1847). In 1773 New York non-Dutch patriots formed the Sons of St. Nicholas, mainly as a non-British emblem to counter the English St. George societies, rather than to respect St. Nicholas. This humanity was similar to the children of St. Tammany in Philadelphia. Not exactly St. Nicholas, the children's gift-giver.After the American transformation, New Yorkers remembered with dignity their colony's nearly-forgotten Dutch origins. John Pintard, the influential patriot and antiquarian who founded the New York chronicled Society in 1804, encouraged St. Nicholas as patron saint of both society and town. In January 1809, Washington Irving connected the humanity and on St. Nicholas Day that same year, he released the satirical fiction, Knickerbocker's History of New York, with many references to a jolly St. Nicholas character. This was not the saintly bishop, rather an elfin Dutch burgher with a mud pipe. These charming air travel of imagination are the source of the New Amsterdam St. Nicholas legends: that the first Dutch emigrant ship had a figurehead of St. Nicholas: that St. Nicholas Day was observed in the colony; that the first place of worship was dedicated to him; and that St. Nicholas comes down chimneys to convey gifts. Irving's work was regarded as the "first prominent work of imagination in the New World." The New York Historical humanity held its first St. Nicholas celebration evening meal on December 6, 1810. John Pintard requested creative person Alexander Anderson to conceive the first American image of Nicholas for the event. Nicholas was shown in a gift-giving function with children's delicacies in stockings hanging at a fireplace. The accompanying verse ends, "Saint Nicholas, my dear good friend! To serve you ever was my end, If you will, now, me something give, I'll serve you ever while I live." The 19th years was a time of cultural transition. New York writers, and others, wanted to domesticate the Christmas holiday. After Puritans and other Calvinists had eradicated Christmas as a holy time of the year, popular commemorations became riotous, boasting drunken men and public disorder. Christmas of vintage was not the images we envisage of families accumulated cozily round hearth and tree swapping attractive gifts and vocalising carols while grinning benevolently at young kids. Rather, it was characterized by raucous, drunken mobs roaming streets, impairing house, intimidating and scary the upper classes. The vacation season, approaching after harvest when work was eased and more leisure likely, was a time when employees and servants took the top hand, demanding largess and more. Through the first half of the 19th century, Presbyterians, Baptists, Quakers and other Protestants proceeded to regard December 25th as a day without devout implication, a day for usual enterprise. This was not a neutral stance, rather Christmas observance was seen as inconsistent with gospel adoration. Industrialists were joyous to reduce employees' leisure time and allowed many less vacations than existed in Europe. All of this started to change as a new comprehending of family life and the place of young kids was emerging. Childhood was approaching to be glimpsed as a stage of life in which larger protection, protecting, training and education were required. And so the season came gradually to be tamed, rotating toward stores and dwelling. St. Nicholas, too, took on new attributes to fit the changing times.1821 conveyed some new components with publication of the first lithographed publication in America, the Children's ally. This "Sante Claus" reached from the North in a sleigh with a soaring reindeer. The anonymous poem and illustrations verified key in moving imagery away from a saintly bishop. Sante Claus fit a didactic mode, rewarding good demeanour and penalizing awful, leaving a "long, very dark birchen rod directs a Parent's hand to use when virtue's route his children refuse." presents were safe toys, "pretty doll . peg-top, or a ball; no crackers, cannons, squibs, or rockets to assault their eyes up, or their pockets. No percussion instruments to stun their Mother's ear, neither swords to make their sisters fear; but attractive books to shop their brain with knowledge of each diverse kind." The sleigh itself even sported a bookshelf for the "pretty publications." The publication also especially assessed S. Claus' first appearance on Christmas Eve, rather than December 6th. The jolly elf image obtained another large-scale boost in 1823, from a verse destined to become immensely popular, "A Visit from St. Nicholas," now better renowned as "The evening Before Christmas." And he looked like a peddler just unfastening his bag. That agitated, when he joked like a bowlful of jelly. To convey his annual presents to you. although, a case has been made by Don Foster in scribe unidentified, that Henry Livingston really penned it in 1807 or 1808. Livingston was a farmer/patriot who wrote funny verse for children. In any case, "A Visit from St. Nicholas" became a defining American holiday classic. No issue who wrote it, the poem has had tremendous leverage on the Americanization of St. Nicholas.The New York elite did well in domesticating Christmas through a new "Santa Claus" custom created by Washington Irving, John Pintard and Clement Clarke Moore. Moore's verse was printed in four new almanacs in 1824, just one year after it was in the Troy, New York, paper. The poem and other descriptions of the Santa Claus ceremonial emerged in more and more local papers. More than any thing else, "A Visit From St. Nicholas" presented the custom of a cozy, household Santa Christmas custom to the territory. Other creative persons and writers continued the change to an elf-like St. Nicholas, "Sancte Claus," or "Santa Claus," unlike the stately European bishop. In 1863, during the Civil conflict, political cartoonist Thomas Nast started a sequence of annual black-and-white drawings in Harper's every week, founded on the descriptions found in the verse and Washington Irving's work. These drawings established a rotund Santa with raging torrent beard, fur garments, and an omnipresent mud pipe. Nast's Santa sustained the amalgamation and President Lincoln accepted this assisted to the amalgamation armies' success by demoralizing Confederate fighters. 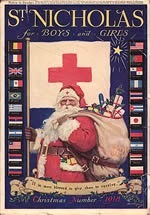 As Nast drew Santas until 1886, his work had considerable leverage in forming the American Santa Claus. Along with look alterations, the saint's title moved to Santa Claus—a natural phonetic alteration from the German Sankt Niklaus. places of worship, influenced by German immigrants who loved Christmas, Clement Clarke Moore, Washington Irving, Charles Dickens, the Oxford action in the Anglican church, and place of worship instrumentalists adopting carol vocalising, began to convey Christmas observances into their lives. The development of Sunday Schools in towns exposed hundreds of thousands of young kids to Christianity. Initially oopposed to Christmas observance, by the 1850s Sunday Schools had found out that a Christmas tree, Santa and presents, greatly improved attendance. So, in a strange twist of destiny, the new "secular" Santa Claus, no longer glimpsed as a devout figure, assisted come back Christmas observance to churches.Santa was then portrayed by dozens of artists in a broad variety of methods, sizes, and colors. although by the end of the 1920s, a standard American Santa—life-sized in a red, fur-trimmed suit—had appeared from the work of N. C. Wyeth, J. C. Leyendecker, Norman Rockwell and other popular illustrators. The likeness was solidified before Haddon Sundblom, in 1931, began thirty-five years of Coca-Cola Santa advertisements that farther popularized and solidly established this Santa as an icon of contemporary financial culture.This Santa was life-sized, jolly, and was clothed in the now well known red suit. He emerged in magazines, on billboards, and shop counters, boosting Americans to see Coke as the solution to "a desire for all seasons." By the 1950s Santa was rotating up universal as a benign source of beneficence, endorsing an astonishing range of consumer products. This financial success led to the North American Santa Claus being exported round the world where he intimidates to overwhelm the European St. Nicholas, who has kept his identity as a Christian bishop and saint.It's been a long journey from the Fourth years Bishop of Myra, St. Nicholas, who showed his devotion to God in exceptional consideration and generosity to those in need, to America's jolly Santa Claus, whose largesse often provision luxuries to the affluent. However, if you peel back the accretions, he is still Nicholas, Bishop of Myra, whose nurturing shocks continue to model factual giving and faithfulness.There is growing interest in reclaiming the initial saint in the joined States to help refurbish a religious dimension to this festive time. For really, St. Nicholas, lover of the poor and patron saint of young kids, is a form of how Christians are intended to live. A bishop, Nicholas put Jesus Christ at the center of his life, his ministry, his whole reality. Families, places of worship, and schools are adopting true St Nicholas customs as one way to claim the true center of Christmas—the birth of Jesus. Such a aim helps refurbish balance to progressively materialistic and stress-filled Advent and Christmas times of the year. Elves are known to be minute, dwarf-like animals, either male or female, with sharp ears. They are youthful but immortal and have magical powers that can command what you see and experience. Their abodes are said to be below ground, in timber plantations, or in springs and wells, but no one really understands about it because they hold their position a secret! It is also accepted that on the 6th of January the elves lightweightweight up their torches and arrive down from their mystery village in the hill to play in a concealed area to commemorate the last day of Christmas. But do you understand who these elves are? Are they genuine creatures or just a myth? What is the article behind their source? What is the mystery behind them? Elves have a fascinating history that is affiliated with Germanic paganism. Elves are originally glimpsed to be the creation of Germanic paganism who thought them to be the creatures of light who dwelled in the heavens. Elves have been depicted as male or female, tiny or dwarf-like, youthful and immortal with magical powers. Later they were often mentioned to as living underground, in forests, jumps and wells. Elves usually were magical beings who could control what people glimpse as well as experience. Elves and fairies are furthermore highly affiliated with the mushroom "Amanita Muscaria", furthermore mentioned to as "magic mushrooms" not only in art but in Psychedelic knowledge. Centuries ago, in the pagan times, Scandinavian persons believed that elves are dwelling gnomes who defended their homes against evil. If you were good, the elves were good to you, but if you were bad, the mischievous elves would play tricks on you. whereas these gnomes mostly were benevolent, they could rapidly turn nasty when not properly treated, so it is notified. Some of the tricks they relished playing were giving you nightmares by being seated on your head while you were dreaming, tangling your hair as you slept, making your milk turn tart, and robbing your sausages. Folks accepted that if they left a bowl of porridge on the doorstep at evening, the elves would be happy and not subject them to their ornery antics. Throughout the centuries, they were either loved or hated. Some persons even accepted them to be trolls and cannibals. The perception of gnomes largely depended on if a individual was naughty, or pleasant. By the mid-1800's the true purpose of the elves was disclosed by the Scandinavians. Elves - currently a custom associated with article telling and illusion, presumed a new implication in the mid-1800's and their factual aim started to be held as not anything additional but to help dad Christmas (Santa Claus). This was the handiwork of the well liked Scandinavian writers of the day. At this time, complicated Christmas carnivals retrieved popularity and Scandinavian article writers such as Thile, Toplius, Rydberg sketched the elves' factual function in up to date life: fairies that are rather mischievous, but the factual associates and helpers of Father Christmas. It is throughout this period when the elves began to be referred to as the "Christmas elves", or simply "elves", and not "house gnomes" anymore. Artists such as Hansen and Nystrm accomplished the image of elves for us. It is now started to be held that the elves help Santa conceive and make the magnificent playthings and presents he brings to children. They were said to have other duties as well. Some elves take care of Santa's reindeer and keep his sleigh in good status, ready to go by plane through the atmosphere on Christmas Eve. other ones help Santa hold his naughty and pleasant register in order, and some elves guard the secret location of Santa's town. Elves make sudden appearances in the days before Christmas, to keep an eye on each young kids and glimpse which of them are behaving well and complying their parents. They are accepted to be Santa's mystery agents and report their findings back to him. Children who are unkind and misbehave have their titles added to the naughty register and may wake up Christmas forenoon to find their filled with chunks of coal or packages of twigs! ElvesThe elves could be cooperative now. Their mischievousness, although, was still evident in the kind of tales told about them. Tales proposed that how you were treated by the elves counted on if the person was considered to be naughty or pleasant! especially in America, the diminutive, green with pointy ears kind are depicted as Santa's helpers making toys in his workshop at the North Pole. At one stage it was thought that the elves reside in dad Christmas' (Santa's) village in North beam. although, in 1925 it was found out that there are no reindeer in the North Pole but there are many in Lapland, Finland. Since reindeers draw the sleigh of Santa Claus, he should be dwelling in an area, where there are large number of these animals available. Since then, it is accepted that there is a mystery village with a mystery route, somewhere in Lapland, where Santa, his wife and his group of elves reside. no one has actually glimpsed their village because the passage to it is a mystery that is renowned only to dad Christmas and the elves. But people accept as true that it is somewhere on the Korvatunturi mountain in the Savukoski shire of Lapland, Finland, which is on the Finnish-Russian border. 1. Alabaster Snowball (Administrator of the Naughty & pleasant list). 2. Bushy Evergreen (Inventor of the magic toy-making machine). 3. Pepper Minstix (Guardian of the mystery of where dad Christmas's town is located). 4. Shinny Upatree (The oldest ally of Santa and the cofounder of the mystery town in Lapland). 5. Sugarplum Mary (Head of the Sweat delicacies, she is furthermore renowned as Mary Christmas. She is an aide to Mrs Claus and helps her in the kitchen). 6. Wunorse Openslae (Designer of Father Christmas's sleigh and to blame for its upkeep. He also looks after the reindeers and it is believed that his reindeers reach races faster than Christmas tree lights). The very old folklores of Iceland mention elves by the names of Askasleikir, Bjugnakraekir, Faldafeykir, Gattathefur, Giljagaur, Gluggagaegir, Ketkrokur, Kertasnikir, Pottasleikir, Skyrjarmur, Stekkjarstaur, Stufur and Thvorusleikir. Other titles of Santa's elves that can be found are Baggalutur, Bjalmans barnid, Bjalminn sjalfur, Bitahaengir, Frodusleikir, Laekjaraegir, Raudur, Redda, Sledda, Steingrimur, Syrjusleikir, Tifill and Tutur. According to some legends and post-Christian folklore particularly in Europe, elves are mischievous pranksters who make exceptional appearances throughout the lead up to Christmas. For example "Albtraum" is a German phrase for nightmare which also means "elf dream". previous the phrase meant "elf force" as it was accepted that nightmares are a outcome of an elf being seated on the dreamer's head! Elves also were believed to braid people's hair while dozing, make milk tart and run off with sausages. persons of Denmark, Sweden, Finland and Norway accepted that a basin of porridge left out would prevent elves from playing tricks on persons especially throughout the festive season! Today, elves affiliated with Christmas are emblems to recall children to be good and not naughty! Paul Walker was in love with Jasmine Pilchard-Gosnell. Get to know the girl behind the headlines. 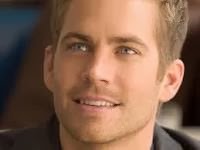 The untimely passing of Paul Walker at age 40 in a car smash that dispatched the world reeling. The low-key player kept his private life private, and now his longtime woman companion Jasmine Pilchard-Gosnell, 23, has been push into the limelight in the worst likely way. Here's what we understand about the heartbroken beauty. When Walker was 33, he met Pilchard-Gosnell who was 16 at the time. Pilchard-Gosnell and Walker thought age ain't nothing' but a number. Pilchard-Gosnell is a intelligent young female. While she could have ridden Walker's coattails for good reputation and fast cash after sparking a romance with him when she was just 16, Pilchard-Gosnell instead opted to enroll in school in her hometown of Santa Barbara, maintaining her own self-reliance and interests. She's close with Walker's daughter, Meadow. Pilchard-Gosnell allegedly took on a stepmother role to Walker's little young female with Rebecca McBrain, even though they only had an eight year age difference between them—and she allegedly broke the report of Walker's death to the teen. Walker's close ally, Jim Torp, said Pilchard-Gosnell collapsed upon hearing the news, but dragged herself simultaneously to help Meadow. "I accept as true she is the one who notified Meadow about what occurred, and when she discovered out she was hysterical and crying," Torp said. "It was just so sad. I tried to do everything I could to help them. Paul's woman companion then took Meadow and motored her dwelling. I don't understand if they motored to crash location. I just understand they were in so much anguish." She was just Walker's type. Pilchard-Gosnell was hardly ever dotted with makeup on, which is the kind of girl Walker says he loves. The actor one time said, "I like reduced upkeep, natural, outdoor, timid girls." Considering their common trips to the sandy shore and hikes, Walker and Pilchard-Gosnell were a flawless match! She's relying on family to get her past Walker's passing. "Paul was a actually good guy and Jasmine is broken up by this," Pilchard-Gosnell's uncle disclosed. "I went to Thanksgiving with him, performed golf with him. They had their ups and downs but they were together and looking to spend a bright future simultaneously This is awful report and unforeseen. Her mother is with her and she is comforting her." Our thoughts stay with Pilchard-Gosnell and Walker's loved ones during this tragic, unimaginably tough time. It was an evening characterised by haute couture, flashiness and glamour as twenty pretty contestants place their best foot forward during a keen contest for the Miss Centenary crown. the fashionable event hosted by the Bayelsa regime transpire at the Gloryland Cultural Center, Yenagoa on Friday December vi, 2013. Organised by the Nike Osinowo semiconductor diode AOE Events and recreation Company, the Miss Centenary pageant is one among the activities lined up to mark the one centesimal year of Nigeria as a sovereign nation. There was lots of buzz over the pageant as several had expected that it'll be one among the high points of the long celebration to mark the 1914 merger of the Northern and Southern protectorates and it exactly lived up to the charge. Guests to the event started creating their approach into the Gloryland Center as early as 6pm. However, fun seekers had to attend until 9pm once the show hosted by the handsome pair of Wunika Makun and Mai Atafo commenced with a worthy curtain raiser within the emotional rendition of the anthem by Kemi Ajumobi. Her performance was closely followed by the inspiring presentation from 10-year-old Ayomikun Eunice. 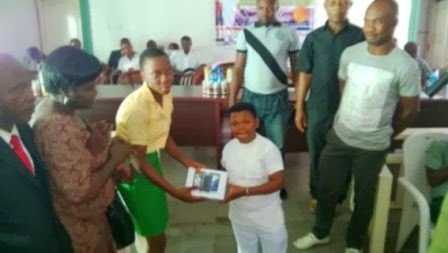 Titled “The Nigeria of My Dreams”, Eunice, on behalf of variant kids across the country, asked for quality education, exemplary leadership and also the provision of basic amenities. She equally urged that Nigerians board peace. Speaking at the event, the Secretary to the govt. of the Federation (SGF) legislator Anyim Pius Anyim, delineate the pageant as “a important a part of the centenary celebrations”. Anyim, UN agency was described by the Senior Special Assistant (SSA) to the President on Documentation, Ferdinand Agu, expressed that despite the challenges endeavor the country, Nigerians have many reasons to celebrate. After the SGF’s speech, the judges for the night were unveiled . They embrace the worldwide Sales Director of Arik Air, Treble Henry, miss Johnson, Mariam Ikoku, Director General, Bayelsa business Agency, Ebizi Indiomu-Brown and also the Most stunning woman in Nigeria World, Pakistani monetary unit Ebiere Banner. Later, the contestants took to the stage for the normal apparel parade, that was greeted with screams of approval from the gang. Ms Osinowo’s welcome address followed the exciting ancient apparel show. the previous beauty queen UN agency looked stylish in her sun yellow leotard thanked guests for creating it to the “beautiful and spirited town of Yenagoa”. Explaining the selection of Yenagoa as host town for the event, associate clearly elated Osinowo said: “We square measure worthy to be in Yenagoa and Bayelsa State. it's contend a crucial role within the creation of the country with the takings from the primary oiler discovered in Oloibiri community. it's a factor of beauty that the centenary pageant was done here”. She proceeded to give thanks alternative sponsors of the event like The Sun, Arik Air, Federal Capital Territory Administration and NNPC for creating the pageant a reality. Osinowo then gave approach for the choreography session labelled, “Dance of Veils”, that was one among the high points of the event. once it absolutely was time for the governor’s speech, Ms Ebizi Indiomu-Brown stood certain Governor Seriake Dickson, UN agency was at the event however later exempt himself for associate imperative matter of the state, On behalf of the governor, she welcome all to the state and urged the guests to fancy the show. Her speech was followed by Timi Dakolo’s rendition of Lemar’s ‘If there’s any Justice’. Contestants presently took turns to treat guests to a night wear fashion parade donning dazzling styles from Maureen Ikem Okogwu’s Sunny Rose. Then came the awards with Miss attractive progressing to Rabi Hassan (Miss Adamawa), Best National Costume visited Ruth Cobham (Miss Cross River) whereas Miss Congeniality was grabbed by Justina Clement, representing Bayelsa.The competition became stiff once the award as judges chosen ten out of the twenty contestants. Miss Anambra, Edo, Cross Rivers, Oyo, Ogun, Gombe, Imo, Ebonyi and Adamawa were during this choose cluster. They were additional cropped to 5 out of that 3 finalists were chosen together with Queen Ubah (Miss Imo), Roots Odutola (Miss Ogun) and Ruth Cobham (Miss Cross Rivers). in contrast to another pageants wherever contestants fumble once respondent queries, the interview session for the Miss Centenary went excellently. 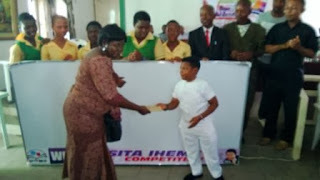 Osita Iheme popularly known as 'Paw Paw' organized a quiz competition via his foundation and presented gifts and cash prices to the winners. Is good to be nice.